More children die from the indirect impact of armed conflicts in Africa than by weapons used in those conflicts, according to a new study led by Stanford University researchers. The research is the first comprehensive analysis of the large and lingering effects of armed conflicts—civil wars, rebellions and interstate conflicts—on the health of noncombatants. The numbers are sobering: between 3.1 million and 3.5 million infants born within 30 miles of armed conflict died from indirect consequences of battles from 1995 to 2015. That number jumps to 5 million deaths of children ages 5 and younger in those same conflict zones. "The indirect effects of conflict on children are so much greater than the direct deaths from warfare," said Eran Bendavid, MD, senior author of the study, which will be published Aug. 30 in The Lancet. The authors also found evidence of increased mortality risk from as far away as 60 miles from armed conflicts and for eight years after them. Being born in the same year as a nearby armed conflict is riskiest for children younger than 1, the authors found, but the lingering effects remain elevated over the years and, even after a conflict has ended, raise the risk of death for infants by over 30 percent. In the entire continent, the authors wrote, the number of infant deaths related to armed conflicts from 1995 to 2015 was more than three times the number of direct deaths from these conflicts. Further, they found that among babies born within a 30-mile range of armed conflict, the risk of dying before age 1 was on average 7.7 percent higher than it was for babies born outside that range. 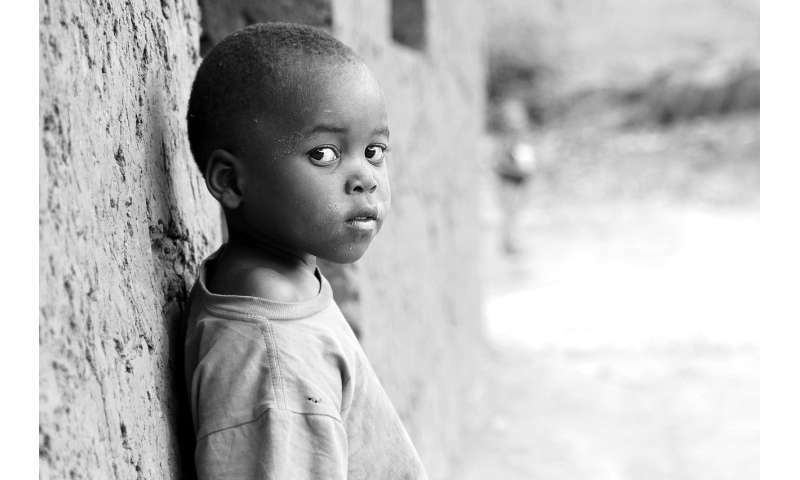 The authors recognize it is not surprising that African children are vulnerable to nearby armed conflict. But they show that this burden is substantially higher than previously indicated. "We wanted to understand the effects of war and conflict, and discovered that this was surprisingly poorly understood," said Bendavid, associate professor of medicine and core faculty member at Stanford Health Policy. "The most authoritative source, the Global Burden of Disease, only counts the direct deaths from conflict, and those estimates suggest that conflicts are a minuscule cause of death." Paul Wise, MD, MPH, professor of pediatrics and a senior fellow at Stanford's Freeman Spogli Institute for International Studies, has long argued that lack of health care, vaccines, food, water and shelter kills more civilians than bombs and bullets do. This study has now put data behind the theory when it comes to children. "We hope to redefine what conflict means for civilian populations by showing how enduring and how far-reaching the destructive effects of conflict can be on child health," said Bendavid, an infectious disease physician. "Lack of access to key health services or to adequate nutrition are the standard explanations for stubbornly high infant mortality rates in parts of Africa," said Marshall Burke, Ph.D., an assistant professor of earth systems science and fellow at the Center on Food Security and the Environment. "But our data suggest that conflict can itself be a key driver of these outcomes, affecting health services and nutritional outcomes hundreds of kilometers away and for nearly a decade after the conflict event." The results suggest efforts to reduce conflict could lead to large health benefits for children, the authors said. The researchers matched data on 15,441 armed-conflict events with data on 1.99 million births and subsequent child survival across 35 African countries. The primary conflict data came from the Uppsala Conflict Data Program's Georeferenced Event Dataset, which includes detailed data about the time, location, type and intensity of conflicts from 1946 to 2016. The authors also used all available data from the Demographic and Health Surveys, funded by the U.S. Agency for International Development, conducted in 35 African countries from 1995 to 2015 as the primary sources on child mortality in their analysis. The data, they said, show that the indirect toll of armed conflict among children is three to five times greater than the estimated number of direct casualties in conflict. The total burden is likely even higher, since the authors focused on children and not the effects on women and other vulnerable populations. Zachary Wagner, Ph.D., a former postdoctoral scholar at Stanford and lead author of the study, said he knows few are surprised that conflict is bad for child health. "However, this work shows that the relationship between conflict and child mortality is stronger than previously thought, and children in conflict zones remain at risk for many years after the conflict ends," Wagner said. "We hope our findings lead to enhanced efforts to reach children in conflict zones with humanitarian interventions," he added. "But we need more research that studies the reasons for why children in conflict zones have worse outcomes in order to effectively intervene."